Materials: Cotton Velvet, Bleach, 90/10 Feather Down Inserts. Visual, 17” x 18.25” approx. 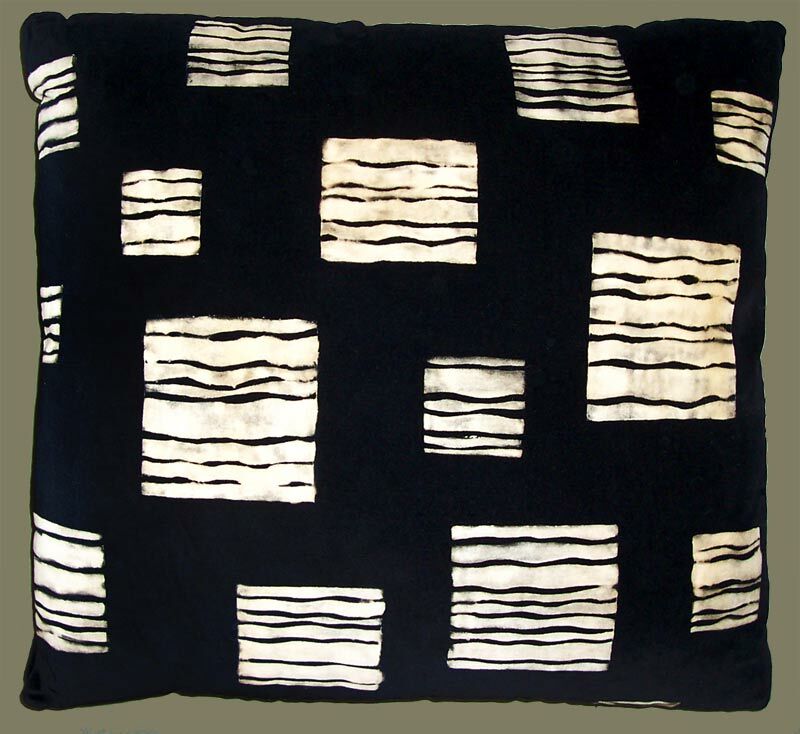 Description: A Modern Design Decorative Pillow of Off White on Black Velvet. A Carol Tate Original Surface Design in a Contemporary Flavor; Organic Squares are Stencil Printed in Bleach on Black Cotton Velvet. A One of a Kind Designer Decorative Pillow with Feather Down Pillow Inserts, and Hand Stitched Closure. A Contemporary, Artisanaware Pillow Playing off the Squares Motif. For High Contrast Modern Interiors.